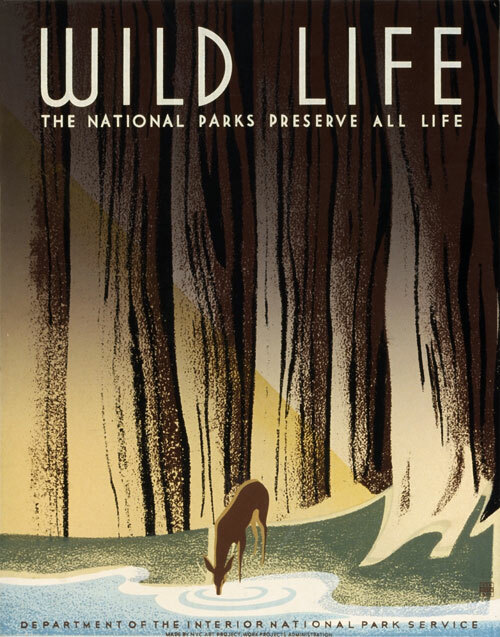 This is a WPA Federal Art Project poster for the National Park Service showing a deer drinking from a forest stream. Illustrated by Frank S. Nicholson, c. 1940. 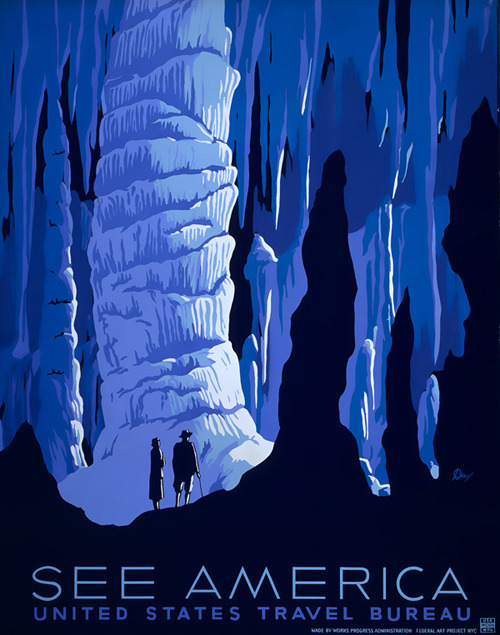 This poster was created circa 1936 by the WPA Pennsylvania Art Project. 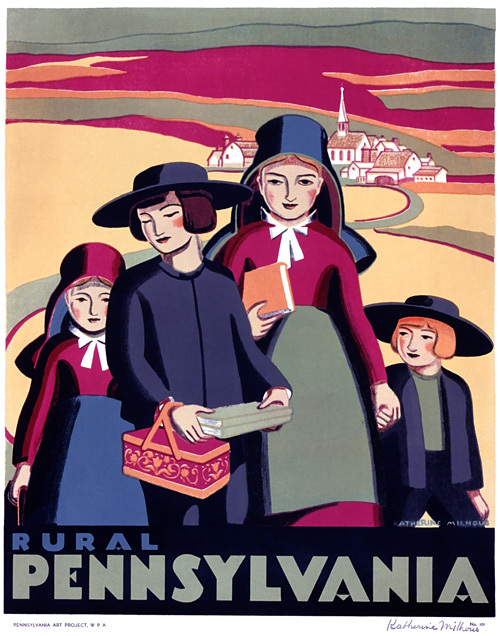 The poster reads, simply, “Rural Pennsylvania,” and was illustrated by Katherine Milhous. 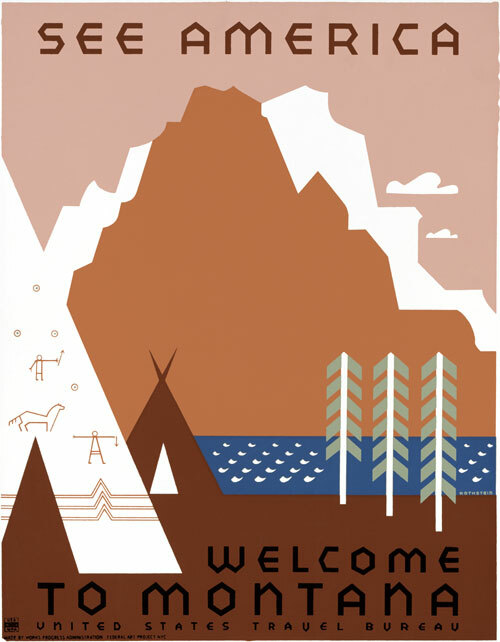 Published for the United States Travel Bureau, showing an Indian encampment next to a lake. 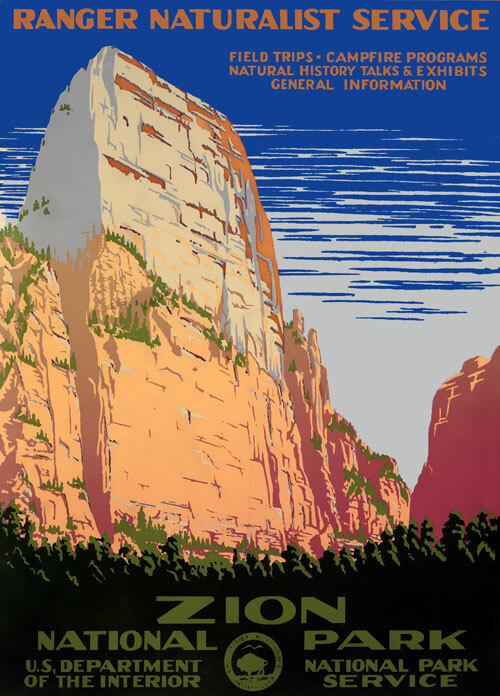 From 1939 and Alexander Dux, a Works Progress Administration/Federal Art Project poster promoting tourism. 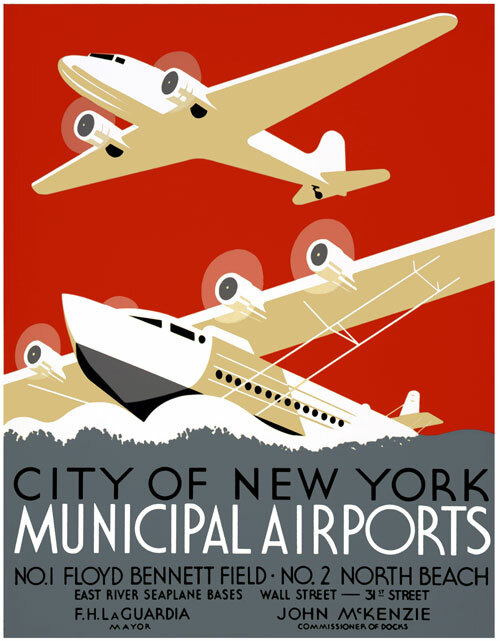 This poster was created by the WPA Federal Art Project in New York City to promote New York’s municipal airports, circa 1937. The Works Progress Administration (renamed during 1939 as the Work Projects Administration; WPA) was the largest and most ambitious New Deal agency, employing millions of unskilled workers to carry out public works projects, including the construction of public buildings and roads, and operated large arts, drama, media, and literacy projects. It fed children and redistributed food, clothing, and housing. Almost every community in the United States had a park, bridge or school constructed by the agency, which especially benefited rural and Western areas. At its peak in 1938 it provided paid jobs for three million unemployed men (and some women), as well as youth in a separate division the National Youth Administration.